The Royal Courts of Justice, commonly called the Law Courts, is a court building in London which houses the High Court and Court of Appeal of England and Wales. The High Court also sits on circuit and in other major cities. 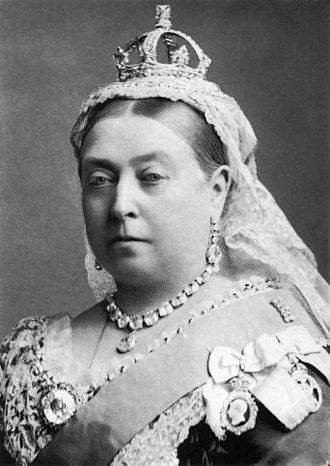 Designed by George Edmund Street, who died before it was completed, it is a large grey stone edifice in the Victorian Gothic style built in the 1870s and opened by Queen Victoria in 1882. It is one of the largest courts in Europe. It is located on Strand within the City of Westminster, near the border with the City of London (Temple Bar). It is surrounded by the four Inns of Court, St Clement Danes church, The Australian High Commission, King's College London and the London School of Economics. The nearest London Underground stations are Chancery Lane and Temple. The courts within the building are generally open to the public with some access restrictions depending upon the nature of the cases being heard. Those in court who do not have legal representation may receive some assistance within the building. A Citizens Advice Bureau is based in the Main Hall which provides free, confidential and impartial advice by appointment to litigants-in-person. There is also an office of the Personal Support Unit where litigants-in-person can receive emotional support and practical information about court proceedings. 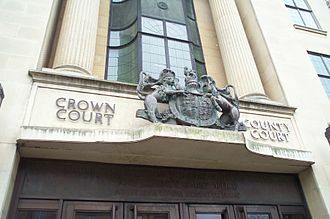 The Central Criminal Court, widely known as the Old Bailey after its street, is about 1⁄2 mile (0.80 km) to the east — a Crown Court with no direct connection with the Royal Courts of Justice. The search for a design for the Law Courts was by way of a competition, a then-common approach to selecting a design and an architect. 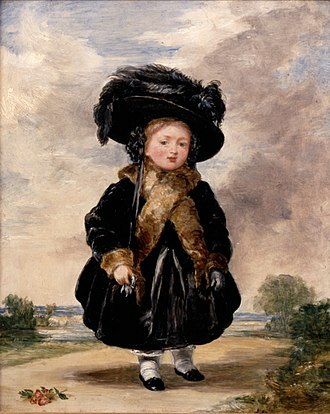 The competition ran from 1866 to 1867 and the twelve architects competing for the contract each submitted designs for the site. 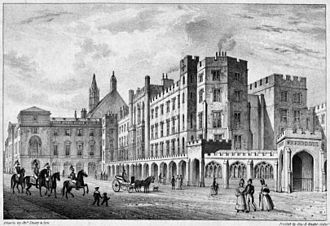 In 1868 it was finally decided that George Edmund Street was the winner. Building was started in 1873 by Messrs Bull & Sons of Southampton. Its masons led a serious strike at an early stage which threatened to extend to the other trades and caused a temporary stoppage of the works. In consequence, foreign workmen were brought in – mostly Germans. This aroused bitter hostility on the part of the men on strike, and the newcomers had to be housed and fed within the building. 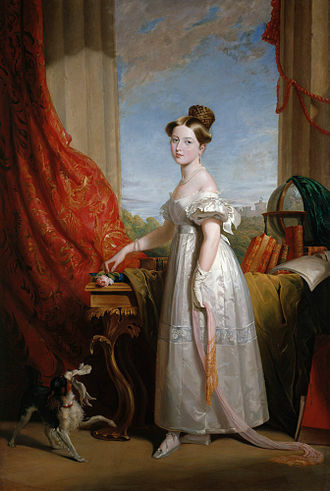 However, these disputes were eventually settled and the building took eight years to complete; it was officially opened by Queen Victoria on 4 December 1882. 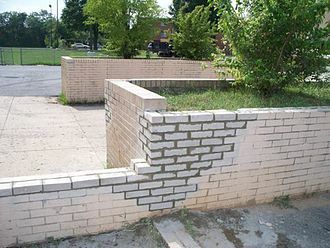 Street died before the building was opened, overcome by the work. Much of the preparatory legal work was completed by Edwin Wilkins Field including promotion of the Courts of Justice Building Act of 1865 and the Courts of Justice Concentration (Site) Act of 1865. A statue of Field stands in the building. Parliament paid £1,453,000 for the 6-acre (24,000 m2) site upon which 450 houses had to be demolished. The building was paid for by cash accumulated in court from the estates of the intestate to the sum of £700,000. 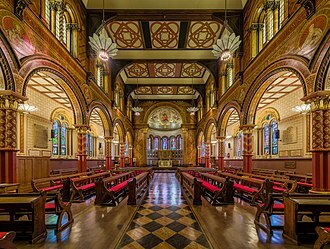 Oak work and fittings in the court cost a further £70,000 and with decoration and furnishing the total cost for the building came to under £1 million. The dimensions of the building (in round figures) are: 470 feet (140 m) from east to west; 460 feet (140 m) from north to south; 245 feet (75 m) from the Strand level to the tip of the fleche. Entering through the main gates on the Strand, one passes under two elaborately carved porches fitted with iron gates. The carving over the outer porch consists of heads of the most eminent judges and lawyers. Over the highest point of the upper arch is a figure of Jesus; to the left and right at a lower level are figures of Solomon and Alfred the Great; that of Moses is at the northern front of the building. Also at the northern front, over the Judges entrance are a stone cat and dog representing fighting litigants in court. On either side are gateways leading to different courts and to jury and witness rooms from which separate staircases are provided for them to reach their boxes in court. During the 1960s, jury rooms in the basement area were converted to courtrooms. 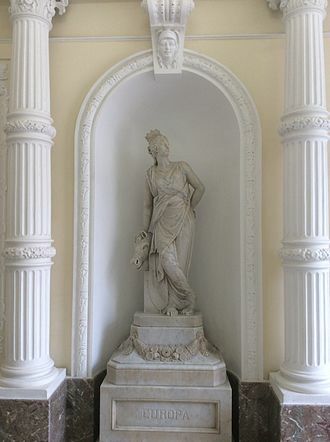 At either end of the hall are handsome marble galleries from which the entire Main Hall can be viewed. The walls and ceilings (of the older, original courts) are panelled in oak which in many cases is elaborately carved. In Court 4, the Lord Chief Justice's court, is an elaborately carved wooden royal coat of arms, salvaged from the fire that destroyed the original Palace of Westminster. Each court has an interior unique to itself; they were each designed by different architects.The grand hall is magnificent in architectural style and huge in size. In addition to the waiting rooms are arbitration chambers, consultation chambers and robing rooms for members of the bar and solicitor advocates. The first extension was the West Green building, for which plans were drawn up in 1910; the space was for extra divorce courts. 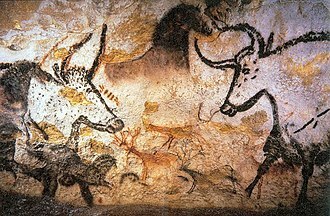 They were the first rooms at the Courts to have modern air conditioning and tape recording in their original design. The next new building was the Queen's Building, opened in 1968, providing a further 12 courts. 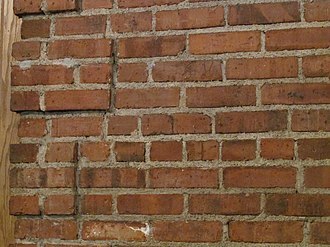 This building used to contain cells in its basement. It was intended that these courts could be used for criminal matters; however they are now primarily used for family proceedings. The 11-storey Thomas More Building was built to house the Bankruptcy and Companies Courts with associated offices. 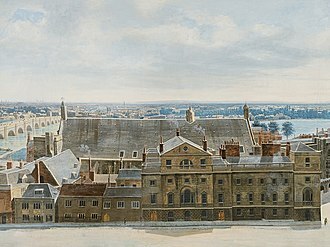 A semi-panorama is possible from the top floor to St Paul's Cathedral and the Central Criminal Court (the Old Bailey) in the City of London. The Thomas More Courts are 12 courts for the Chancery Division, which opened in January 1990. The Thomas More Building has become the County Court at Central London, in the lower tier of hierarchy, not part of the High Court or Court of Appeal. Vacant land for horizontal extensions is minimal and proximity to natural light from various windows, coupled with a long-standing consensus to remain relatively low-rise among the older Courts, restricts vertical extension. Full refurbishment of the east block took place during 1994–95, which provided 14 extra courts for the Civil Division of the Court of Appeal and two extra large courts which are unassigned and will be used for cases having multiple parties or an unusually large number of documents and books. Anyone is allowed to watch, free of charge, most of the trials and hearings that are taking place; the main exception is family cases such as proceedings concerning children which are held in private. ^ a b Harper 1983, p. 96. ^ "Royal Courts of Justice visitors guide". HM Courts Service. Archived from the original on 24 July 2010. Retrieved 15 December 2008. Harper, Roger H. (1983). Victorian Architectural Competitions: An Index to British and Irish Architectural Competitions in The Builder, 1843–1900. Mansell Publishing Limited. ISBN 0-7201-1685-6. Brownlee, D. (1984). The Law Courts: The Architecture of George Edmund Street. MIT Press. 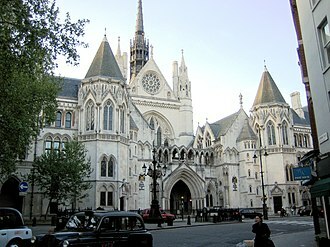 Wikimedia Commons has media related to Royal Courts of Justice. St Clement Danes is an Anglican church in the City of Westminster, London. 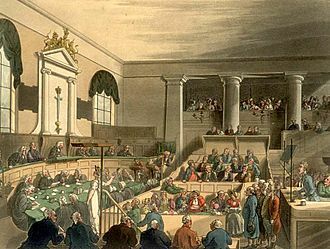 It is situated outside the Royal Courts of Justice on the Strand, although the first church on the site was reputedly founded in the 9th century by the Danes, the current building was completed in 1682 by Sir Christopher Wren. Wrens building was gutted during the Blitz and not restored until 1958, the church is sometimes claimed to be the one featured in the nursery rhyme Oranges and Lemons and the bells do indeed play that tune. However, St Clement Eastcheap, in the City of London, St Clement Danes is known as one of the two Island Churches, the other being St Mary-le-Strand. 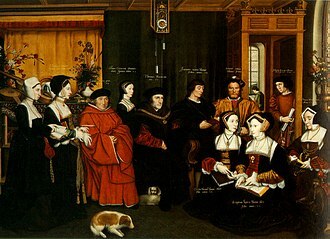 There are several theories as to the connection between the Danes and the origins of the church. 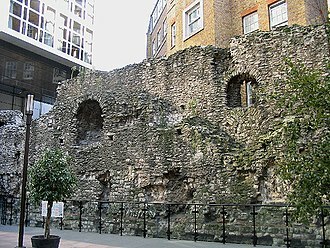 A popular theory is that in the 9th century the Danes colonized the village of Aldwych on the river between the City of London and the site of Westminster. This was at a time half of England was Danish. At Aldwych the Danes founded a church, hence the part of its name. 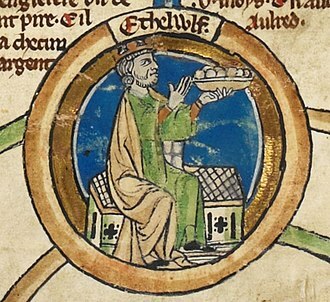 Alternatively, after Alfred the Great had driven the Danes out of the City of London and they had been required to accept Christianity, in either case, being a seafaring people, the Danes named the church they built after St Clement, patron saint of mariners. 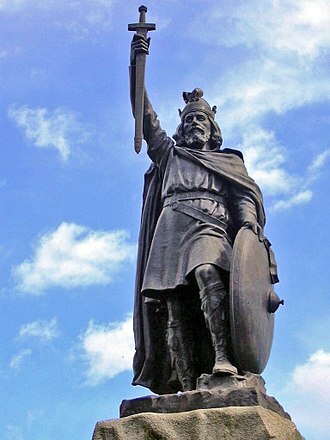 Also possible is that the Danish connection was reinforced by a massacre recorded in the Jómsvíkinga saga when a group of unarmed Danes who had gathered for a service were killed. 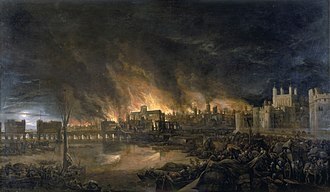 The 12th century historian William of Malmesbury wrote that the Danes burnt the church on the site of St Clement Danes before they were slain in the vicinity. 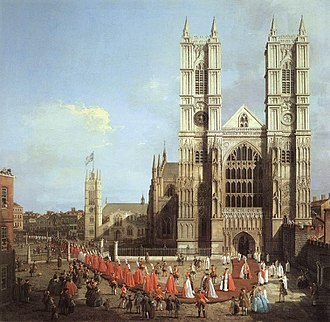 The church was first rebuilt by William the Conqueror, and again in the Middle Ages. A new chancel was built part of the churchyard in 1608, at a cost of more than £1,000. Shortly after the Great Fire, further repairs to the steeple were attempted, but these were found impractical, soon afterwards it was decided that the rest of the church was in such a poor state that it too should be completely rebuilt. London Bridge refers to several historical bridges that have spanned the River Thames between the City of London and Southwark, in central London. The current crossing, which opened to traffic in 1973, is a box girder bridge built from concrete and this replaced a 19th-century stone-arched bridge, which in turn superseded a 600-year-old medieval structure. 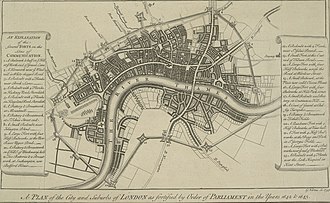 This was preceded by a succession of bridges, the first built by the Roman founders of London. The current bridge stands at the end of the Pool of London but is positioned 30 metres upstream from previous alignments. The traditional ends of the bridge were marked by St Magnus-the-Martyr on the northern bank. Until Putney Bridge opened in 1729, London Bridge was the only road-crossing of the Thames downstream of Kingston-upon-Thames and its importance has been the subject of popular culture throughout the ages such as in the nursery rhyme London Bridge Is Falling Down and its inclusion within art and literature. The modern bridge is owned and maintained by Bridge House Estates and it carries the A3 road, which is maintained by the Greater London Authority. The crossing delineates an area along the bank of the River Thames. The abutments of modern London Bridge rest several metres above natural embankments of gravel, between the embankments, the River Thames could have been crossed by ford when the tide was low, or ferry when it was high. There is archaeological evidence for scattered Neolithic, Bronze Age and Iron Age settlement nearby, two ancient fords were in use a few miles upstream, beyond the rivers upper tidal reach. 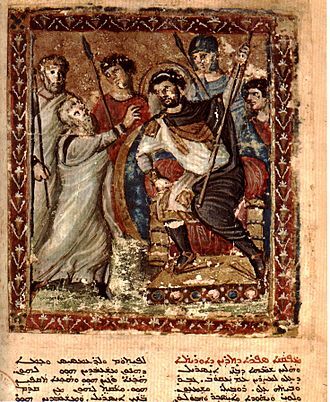 They were aligned with the course of Watling Street and led into the heartlands of the Catuvellauni, some time before Claudius conquest of AD43, power shifted to the Trinovantes, who held the region northeast of the Thames estuary from a capital at Camulodunum. 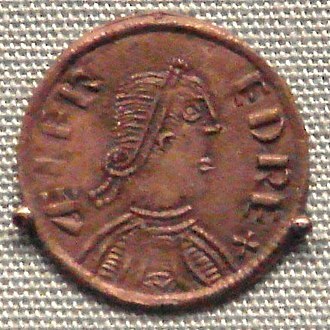 Claudius imposed a major colonia on Camulodunum, and made it the city of the new Roman province of Britannia. 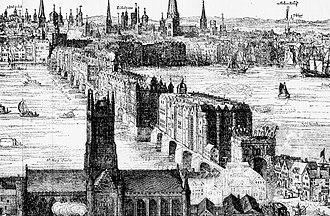 The first London Bridge was built by the Roman military as part of their road-building programme, around AD55, the temporary bridge over the Thames was replaced by a permanent timber piled bridge and guarded by a small garrison. The High Commission of Australia in London is the diplomatic mission of Australia in the United Kingdom. It is located in Australia House, a Grade II listed building and it is both Australias first diplomatic mission and the longest continuously occupied diplomatic mission in the United Kingdom. A major landmark on Strand, construction on the building by the Dove Brothers commenced in 1913 and it was officially opened by King George V in a ceremony on 3 August 1918 attended by the Australian Prime Minister William Morris Hughes. 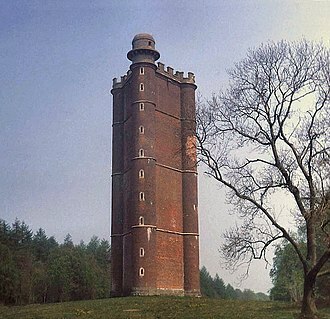 The cost of the triangular shaped land was £379,756 when purchased by the Commonwealth of Australia in 1912 and building, the Commonwealth of Australias chief architect, John Smith Murdoch, travelled to London to work with the Mackenzie firm on the building. Although an Official Secretary had been appointed to London as early as 1906, the building itself, was built over a 900 year old sacred well drawing from the River Fleet, a subterranean river underneath London. The Millennium Bridge, officially known as the London Millennium Footbridge, is a steel suspension bridge for pedestrians crossing the River Thames in London, linking Bankside with the City of London. It is located between Southwark Bridge and Blackfriars Railway Bridge and it is owned and maintained by Bridge House Estates, a charitable trust overseen by the City of London Corporation. Construction began in 1998, and it opened in June 2000. Londoners nicknamed the bridge the Wobbly Bridge after pedestrians felt unexpected swaying motion, the bridge was closed on opening day, and after two days of limited access, it was closed for almost two years while modifications were made to eliminate the motion. The southern end of the bridge is near the Globe theatre, the Bankside Gallery, the bridge alignment is such that a clear view of St Pauls south façade is presented from across the river, framed by the bridge supports. The design of the bridge was the subject of a competition organised in 1996 by Southwark council, the winning entry was an innovative blade of light effort from Arup Group and Partners, and Sir Anthony Caro. Due to height restrictions, and to improve the view, the suspension design had the supporting cables below the deck level. The bridge has two piers and is made of three main sections of 81 m,144 m, and 108 m with a total structure length of 325 m. The eight suspension cables are tensioned to pull with a force of 2,000 tons against the set into each bank – enough to support a working load of 5,000 people on the bridge at one time. Ordinarily, bridges across the River Thames require an Act of Parliament, for this bridge, that was avoided by the Port of London Authority granting a licence for the structure obtaining planning permissions from the City of London and London Borough of Southwark. Construction began in late 1998 and the works were started on 28 April 1999 by Monberg & Thorsen. The bridge was completed at a cost of £18. 2M, primarily paid for by the Millennium Commission and it opened on 10 June 2000. Unexpected lateral vibration caused the bridge to be closed on 12 June 2000 for modifications, attempts were made to limit the number of people crossing the bridge.